How long do you have to live somewhere before you can call it home? This is a surprisingly tricky question to answer. Is it technical, like when you attain citizenship or can qualify for city services? Or is it less concrete, more about when a place begins to "feel" like home? In a city like Detroit and its surrounding suburbs, where migration and immigration greatly affect to the area's demographics, home is a topic that comes up a lot. It's no wonder then that Taylor Renee Aldridge and Lucy Mensah, assistant curators of the Contemporary Galleries of the Detroit Institute of Arts (DIA), chose the topic for their first exhibition "Making Home," on view until June 2018. Aldridge and Mensah are two of the three new hires to the DIA's Contemporary Galleries. 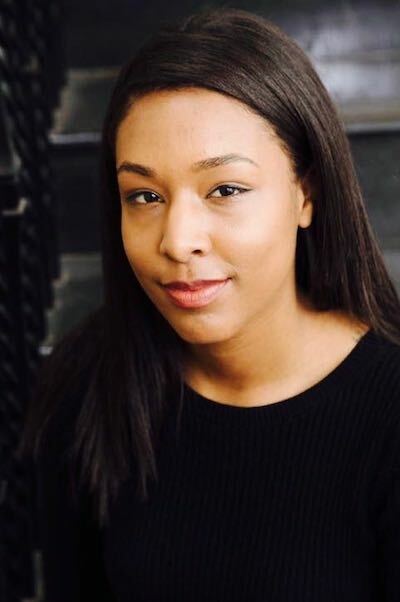 Aldridge, a native Detroiter, joined the team in November 2016 after spending some time away from the city to pursue her studies. Mensah, a Philadelphia native and recent Detroit transplant, joined the team in March 2017. "I find home to be something that I'm perpetually looking for and which has different permutations depending on where I am. Being in Detroit I've been more reflective about home," Mensah says. "That's what we want to reflect in the show. We didn't necessarily want to go for a melancholic show, but it just turned out that way." Melancholy also happens to be one of the exhibition's eight subcategories, the others being The Sublime, Childhood Imagination, Domesticity, (In)Security, Home and Community, Urbanization, and Displacement. These headings help the viewer work through some of the many meanings of home. "We wanted to select works that either affirm why we believe notions about home or challenge them or do both in one work," Mensah says. In the piece "Untitled" by Lithuanian artist Romualdas Pozerskis, a woman is seen fleeing from a house engulfed in flames, presumably carrying cherished or important possessions. The photo hangs under the Displacement heading and is meant to show the "precarious nature of structures made to protect us." Even though it doesn't depict a Detroit home, it definitely strikes a chord in a place known as "arson capital" for the number of buildings which catch fire each year. "It wasn't lost on us that home is very present in terms of migration, immigration, environmental disasters," says Aldridge. "People losing their homes and having to think about what it means to lose a home and try to find a new one." 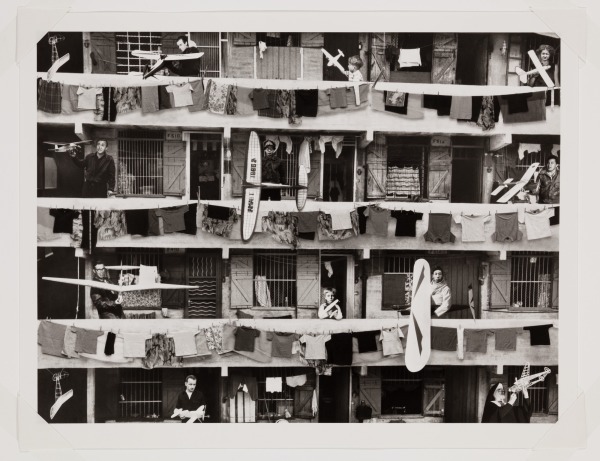 "Making Home" features nearly 50 works, mostly photographs, all belonging to the museum's permanent collection, from new acquisitions like Carrie Mae Weems' "Kitchen Table Series" to Charles McGee's "Urban Extract 2." The latter, a massive exterior wall excavated by the acclaimed Detroit artist, has been a part of the museum's collection since 1983, but was recently rediscovered by the curators. The Weems series, under the Domesticity heading, is a combination of photos that show a woman in various arrangements around a kitchen table, as the title suggests, and text prints that help narrate the images. Both Aldridge and Mensah have strong literary ties. 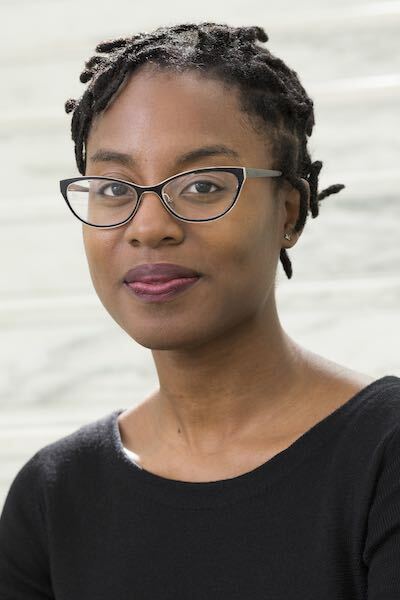 Aldridge co-founded the online arts criticism journal Arts.Black, and Mensah's academic focus was in literature, not the visual arts, making her a unique pick for the Museum. The two began sharing texts and ideas even before Mensah officially began working at the Museum. "We were just dialoguing about different topics that resonate with the local community and audiences that could be universal," says Aldridge. "We both had Taylor Renee Aldridgebonded on two specific pieces of literature—Homegoing by Yaa Gyasi and Warmth of Other Suns by Isabel Wilkerson—and we were thinking about themes of migration and exile and belonging that were sparked out of our interest of these literary works." The exhibition is not the pair's only focus. Their major long-term project is the reinstallation of the Contemporary Galleries, which, for the most part, have gone untouched since 2007. Along with head curator Laurie Ann Farrell, they have until 2020 to research the current holdings (which number around 3,500), acquire new works, and reinstall the galleries. The new curators work collaboratively, but each bring something different to the table. Farrell brings years of museum experience—a necessary skill for this kind of overhaul. Mensah's rich literary background provides a unique approach to exhibition planning and installation research. While Aldridge's Detroit roots allow her to be the main point of contact between the DIA's Contemporary Galleries and other Detroit institutions and artists. They're currently in the research phase of the re-installation process, which involves traveling to see exhibitions, reviewing the currently holdings, and meeting each week to each share information about pieces in the collection. Contemporary art is a special genre because curators often work with living artists. It puts the curators in a unique position where they can support artists, legitimizing their work in a way, and put it into a national or global context. "The subtitle is 'Thinking Globally, Acting Locally,'" Mensah says. "We have a very strong collection of work—all the artists who associate with being really important for contemporary galleries to have. But we're looking more broadly and thinking what is the international scope? What are the corresponding art movements happening in other countries? That's where the research and travel comes in." Once complete, the newly installed galleries will remain on view for at least another decade. Aldridge, Farrell, and Mensah represent the largest curatorial staff the Contemporary Galleries have seen in decades. It's an opportunity to reflect on the work Detroit has produced in the past 30-plus years, to tell stories that are important to Detroit right now and in the future.